Owner Nunzio Scaglione has a hard time defining his Pasta Via Ristorante: Casual fine dining or fine casual dining? 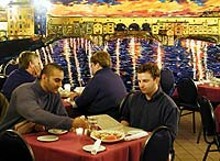 Either way, you’ll be warmly welcomed in this friendly Italian restaurant located just a few minutes from the Ambassador Bridge. 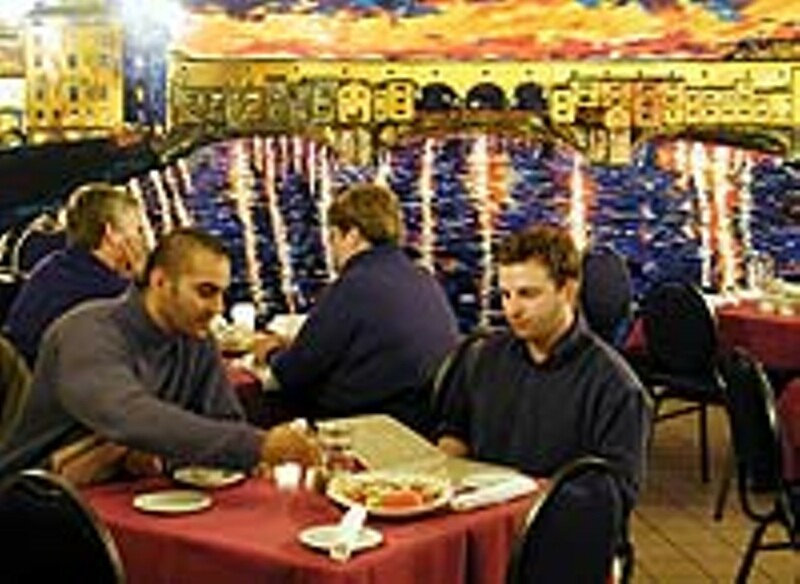 The interior features a mural painted by local artist Rocco DiPasquale, while candles and old-fashioned street lights give the restaurant a soft, romantic glow. The well-rounded menu includes traditional Italian fare as well as more contemporary offerings, all complemented by an extensive wine list. Entrées range from stuffed trout and blackened tuna to steak, chicken, veal, pork and even braised rabbit. Scaglione’s favorite is the pork tenderloin, braised with grilled apple, rosemary, garlic and white wine. Vegetarian selections are also available. Scaglioine invites you to try something new each time you come; reservations are recommended.